Sports clubs: Can all pupils who signed up for a club please collect a consent form from the PE department at interval/lunch. Please note that the S1/2 netball club will now run on a Monday after school and the badminton club will run on a Tuesday after school. S1/2 Dance Club: The club will not be running this Thursday, but will instead start next Thursday (8/9/16). Can all pupils who have signed up please attend a short meeting on Friday (2/9/16) at interval in my room (science 238). Any pupil who hasn’t yet signed up but would like to find out more is also welcome to come to the meeting. If you cannot make the meeting on Friday, please come and let me know. Miss Walmsley. Second Year Drama Club: Second Year Drama Club in Mr Dean’s room every Friday lunchtime 12.40 start. All welcome. S1/2 Photography Club: Photography Club will run on Thursdays in the Library. Please see Mrs Macfadyen or Ms Steinert for details. No equipment necessary. A number of clubs and activities are available for pupils throughout the week at OLHS. A complete list is available by clicking here. Book Group will take place every Tuesday lunchtime in the Nurture Room. This is a fantastic opportunity to read our large selection of books, develop your literacy skills and meet new friends. All welcome! Chess Club will continue every Friday at lunchtime. Beginners will learn how to play chess and our more experienced players will continue to compete against each other as we work towards creating an OLHS team. S1/2 Photography Club will take place in the Library every Thursday lunchtime. All equipment provided. S1/2 Dance club returns Thurs 4-5pm in the fitness suite from 1st Sept. Led by S6 Maia Winton. Sign up in PE or see Miss Walmsley. Table tennis club in the large gym Mondays at lunchtime. Come along 12.40pm-1.10pm. For any more information see the PE department. 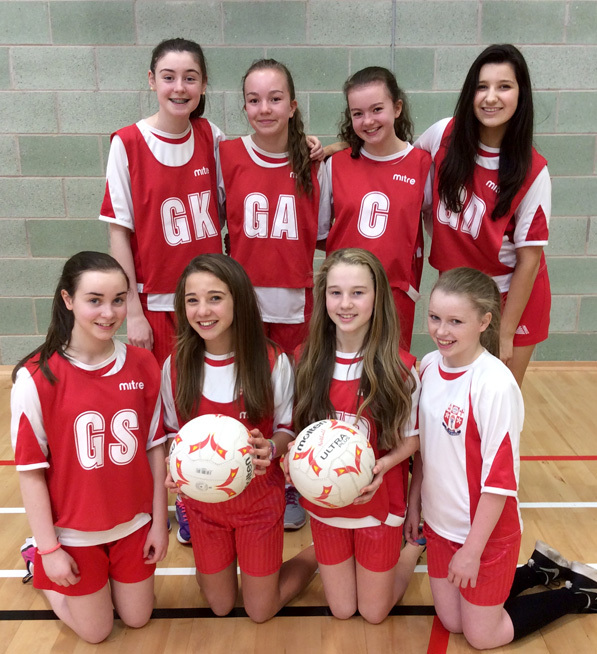 Congratulations to the S3/4 netball team who played Coltness HS last week and won 32-6. All girls played brilliantly! Huge congratulations to the S3/4 netball team who played Braidhurst High School today after school and beat them 19-14. It was a closely fought match however our slick passing, accurate shooting, determination and teamwork gave us the edge. Well done girls – you did Our Lady’s High School proud!! Team: Rebecca McQuaid, Lucy McQuaid, Emma Dolan, Shannon Waldron, Lara McEneany, Holly McGuire, Emma Torrance, Robyn Leach and Morgan Deakin. The S1/2 girls’ netball team competed in the North Lanarkshire Commonwealth Challenge finals on Monday 19th May at Broadwood Sports Centre. To get to the finals the team were the champions of the Motherwell and Wishaw region. The teams competing in the finals were Our Lady’s High, Bellshill Academy, St. Maurice’s, St. Margaret’s and Greenfaulds with St. Margaret’s being crowned the overall champions. The standard was very high and the team had some closely fought matches thanks to some great team passing and goals from Rebecca Mcquaid, Emma Torrance and Emma Dolan. All players were fantastic, showed amazing team spirit and did Our Lady’s High proud. Well done girls!! The charity staff v pupil netball match to raise funds for Lenten Charities took place at lunchtime on Thursday 21st March. It was a closely fought out game however the staff were victorious, narrowly winning by 11 goals to 10. The pupils made a very bright start to the match and took the lead by two goals to nil before Mrs McNeish sunk a double to make the game all square. The pupils then dominated the next passage of play and with some excellent passing and accurate shooting they stretched their lead to a comfortable 7-2. The teachers faces said it all!! Substitutes were made and the staff settled into their game. Through some excellent linking play between Mrs King, Mr Brogan, Mr MacMaster and Miss Simonini the staff found themselves all square at 8-8. The next passage of play was very tight with alternate teams taking their chances well until the score was levelled at 10-10. The clock was ticking and both teams knew that one mistake could cost them the game. Through some slick passing from the staff team Mr Brogan found himself in front of the goal and shooting to take the lead when Darren O’Brien had what can only be described as a rush of blood to the head and deliberately shook the goal post which resulted in the shot which was undeniably going to be a goal rebound off the rim! There was a huge gasp from the crowd! A foul was called and Mr Brogan had a free shot on goal. Could he keep his nerve?……………………………..
Of course he could and converted to take the score to 11-10 to the staff. Seconds later the final whistle blew and the staff had won the match!!! Huge thank you to all the staff and senior pupils who volunteered to play. It was a lot of fun and everyone played fantastic! A special mention must go to the pupils’ team for an absolutely excellent whole team performance. Their fast, accurate passing, movement off the ball and sharp shooting pushed the staff team to their limit and at times left them scratching their heads. Another special mention must go to Chantelle Laughlin for her excellent shooting and Louise Bradshaw and Logan Wilson for their solid defending. Also a huge thank you must go to the girls from the S1/2 netball team who gave up their lunchtime to help with the running of this event, to the girls from Higher PE who put the pupil team together, and to those who came and showed their support enabling us to raise money for charity. 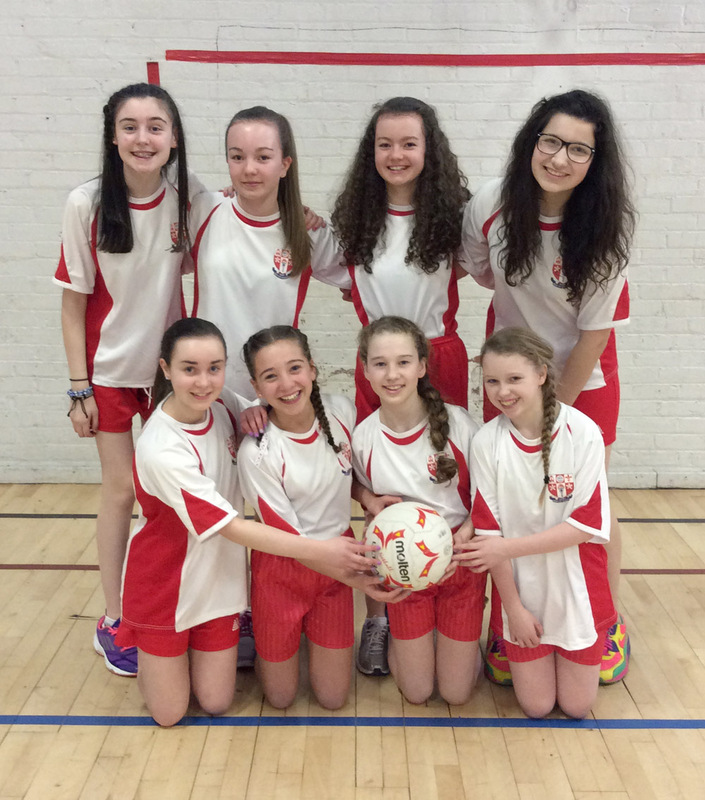 Huge congratulations to the S1/2 netball team who beat Dalziel High School 7-4 yesterday. This was their very first game and they produced a solid team performance. Emma Dolan scored four of the goals and Rebecca McQuaid scored three. All girls were fantastic but a special mention goes to Lucy McQuaid who was selected as ‘Player of the Match’ for her hard work throughout the game, linking defence into attack and her determination to win the ball back for the team. Well done girls – you did Our Lady’s High School proud! !